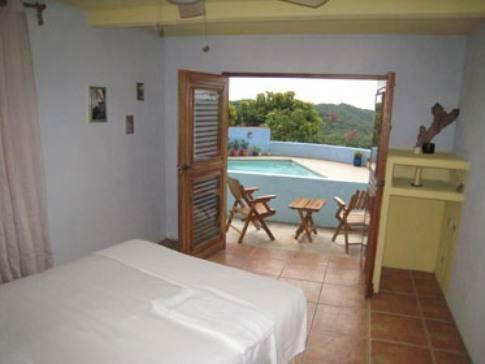 ﻿ Best Price on El Jardin in San Juan Del Sur + Reviews! 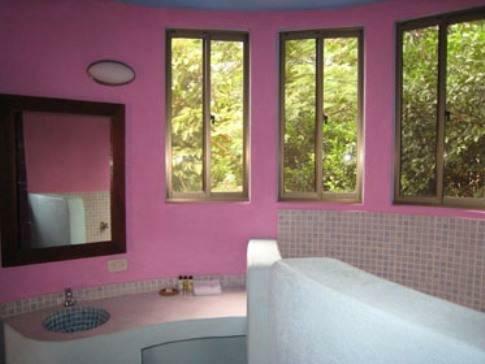 El Jardín is in the hills 2.5 mi from the fishing village of San Juan del Sur. It offers an outdoor pool and terraces with great ocean views. The rooms feature simple, charming décor with cheerful colors. Each one comes with free Wi-Fi and a private bathroom, and some have a private terrace with stunning views of Naoscolo Bay. They offer two courtesy shuttles per day to/from San Juan del Sur (morning and sunset). El Jardín’s restaurant serves traditional international and European dishes overlooking the bay. There is also a bar where you can enjoy a cocktail in the sun. Breakfast includes juice, tea or coffee, fresh fruits, toasts and your choice of bacon and eggs or gallo pinto and eggs. Activities can be arranged such as a canopy tour, horseback rides and fishing. The beaches around El Jardín are popular for surfing and other water sports. Managua is 1 hour and 45 minutes’ drive away. The Augusto C. Sandino International Airport is 1 hour and 50 minutes’ drive away.